Drug formulating processes consist of mixing (liquids or solids), palletizing, encapsulating, and packaging. Raw materials utilized by a drug formulator and packager may include ingredients such as sugar, corn syrup, cocoa, lactose, calcium, gelatin, talc, diatomaceous, earth, alcohol, wine, glycerin, aspirin, penicillin, and so on. These plants are mainly engaged in the production of pharmaceuticals primarily of a nonprescription type, including medications for arthritis, coughs, colds, hay fever, sinus and bacterial infections, sedatives, digestive aids, and skin sunscreens. Wastewater characteristics of such plants vary by season, depending upon the production of medicines to meet seasonal demands. However, the waste can be characterized as being slightly acidic, of high organic strength (BOD, 750-2000 mg/L), relatively low in suspended solids (200-400 mg/L), and exhibiting a degree of toxicity. During the period when cough and cold medications are prepared, the waste may contain high concentration of mono-and disaccharides and may be deficient in nitrogen . 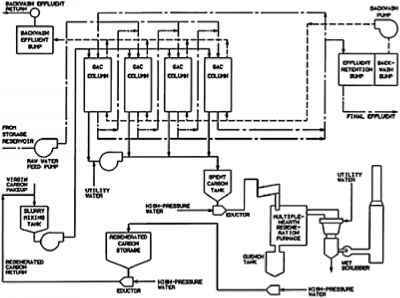 A drug formulation plant usually operates a single shift, five days a week. 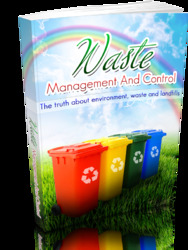 Since drug formulating is labor-intensive, sanitary waste constitutes a larger part of total wastes generated, therefore waste loads generated from such plants are very low compared to other subcategories of bulk pharmaceutical manufacturing plants. Significant parameters to be considered in designing a treatment and disposal facility for pharmaceutical wastewater are given in Table 12. Biochemical oxygen demand measurements of the waste have been reported to increase greatly with dilution, indicating the presence of toxic or inhibitory substances in some pharmaceutical effluents. The toxicity impact upon various biological treatments by various antibiotics, bactericidal-type compounds, and other pharmaceuticals has been described in the literature [21-24]. Discharge permits for pharmaceutical manufacturing plants place greater attention on high concentrations of ammonia and organic nitrogen in the waste. Considerable amounts of TKN (total Kjeldhal nitrogen) have been found to still remain in the effluent even after undergoing a high level of conventional biological treatment. It has also been reported that the nitrogen load of treated effluent may sometimes exceed even the BOD load. This generates an oxygen demand, increased chlorine demand, and formation of chloramines during chlorination, which may be toxic to fish life and create other suspected health problems. The regulatory authorities have limited the concentration of unoxidized ammonia nitrogen to 0.02 mg/L in treated effluent. Certain pharmaceutical waste may be quite resistant to biodegradation by conventional biological treatment. For example, various nitroanilines have been used in synthesized production of sulfanilamide and phenol mercury wastes and show resistance against biological attack. Both ortho and meta nitroaniline were not satisfactorily degraded even after a period of many months . Other priority pollutants such as tri-chloro-methyl-proponal (TCMP) and toluene must be given attention in the treatment of pharmaceutical wastewater. With careful controls, p-nitroaniline can be biologically degraded, although the reaction requires many days for acclimatization [25,26].